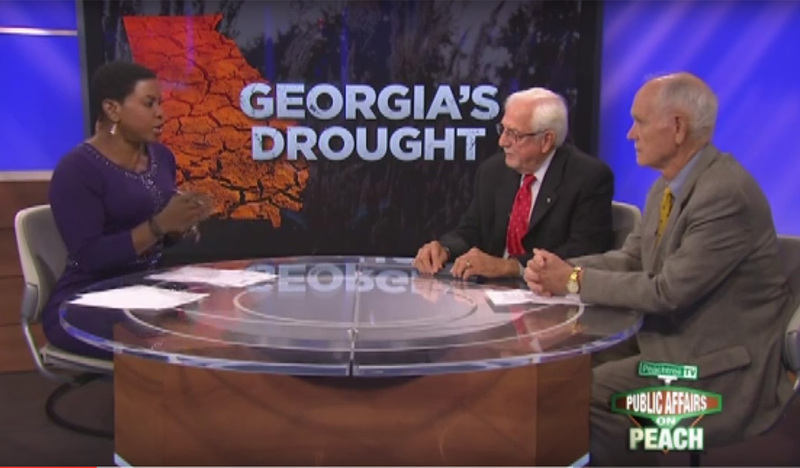 LLA’s Wilton Rooks recently spoke with CBS46 regarding the increasingly serious drought issues at Lake Lanier. We are calling on all Lake Lanier users and businesses to submit comments to the Corps by this Saturday’s deadline. Recent hydrologic analysis has revealed a large, unrevealed impact from the Corps’ proposed navigation plan. 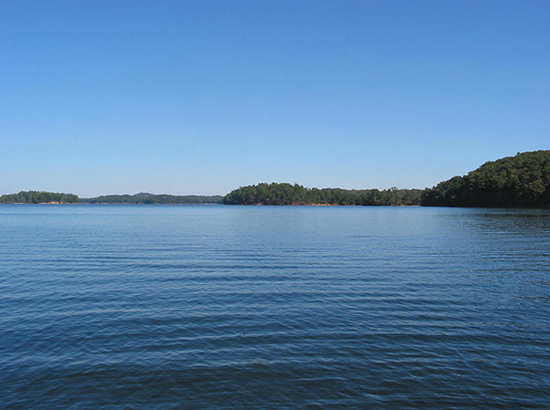 According to that analysis, the Corps’ navigation operations alone would lower Lake Lanier by more than four feet in a drought similar to the one in 2007-2008. This impact is even greater than the impact of the projected population increases between now and 2050. The impact of this portion of the proposed WCM is of such magnitude that we believe that a large volume of comments in opposition is critical in convincing the Corps to change its plan. Revise the navigation plan to avoid the severe impact the proposed plan will have on Lanier’s water levels. Incorporate rigorous drought prediction that will trigger changes in reservoir operations to preserve lake levels during drought. Manage the reservoirs to retain maximum storage levels in the reservoirs so that drought conditions will not have the devastating impact that was experienced in December 2007. Model and plan for raising Lake Lanier’s full pool level to 1073. Thank you for your support of Lake Lanier. About a year ago, Florida asked for permission to file suit against Georgia in the Supreme Court of the United States, asking the high court to equitably apportion the waters of the ACF in a way that would send more water to Florida. Yesterday, the Court granted Florida leave to file its Complaint against Georgia and gave Georgia thirty days to file its Answer. 50. The existing storage, evaporation, and consumption of water by Georgia’s municipal, industrial, recreational, and agricultural users have diminished the amount of water entering Florida in spring and summer of drought years by as much as 3,000-4,000 cubic feet per second (“cfs”). This has altered the flow regime of the Apalachicola River during the most vulnerable times for riverine and estuarine species. In recent drought years, Apalachicola River flows averaged less than 5,500 cfs throughout the entire late-spring-summer-fall period from May through December. Such long durations of extremely low flows were unprecedented before 2000. Florida further prays that the Court enter an order enjoining Georgia, its privies, assigns, lessees, and other persons claiming under it, from interfering with Florida’s rights, and capping Georgia’s overall depletive water uses at the level then existing on January 3, 1992. In determining whether to cap “Georgia’s overall depletive water uses at the level then existing on January 3, 1992,” the Supreme Court will consider the uses to which the State of Georgia and the Corps of Engineers now put the waters of the ACF, as well as the uses for which Florida seeks to obtain more of that water. The fact that there is an original jurisdiction, equitable apportionment case in the Supreme Court of the United States that could determine forever how much of the water in the ACF we may be able to keep and use is of august importance to everyone in Georgia, and especially to those who are concerned about Lake Lanier. And while it is perhaps hard to imagine this beautiful lake, which supports millions of people, being drained to prop up a desirable but tenuous oyster farming operation in the Gulf of Mexico that has recently been the victim of Florida’s overharvesting as much as nature’s droughts, that is the proposition that has been laid before this nation’s highest court. We will periodically update membership on the case via the LLA website and newsletter. But for now, it is most important to recognize the critical importance of Florida’s legal action and the extensive repercussions that could result on Lake Lanier. On January 31, the State of Georgia filed its response to Florida’s motion for leave to file a complaint in the U. S. Supreme Court. LLA members may recall that Florida asked the Supreme Court to perform “equitable apportionment” of the ACF waters, giving more to Florida than it has gotten in the past. The Supreme Court must consent to the filing of a complaint, and Georgia filed its response in an attempt to persuade the Court not to give its consent. In sum, Florida has not pleaded facts plausibly suggesting that it will be able to establish clear and convincing evidence that it suffers substantial injury as a result of Georgia’s consumption of water. 25 There is no basis for applying federal common law to address alleged injuries that fall within the broad scope of the thicket of federal environmental and natural resource statutes, and certainly not before those statutes have been applied, Florida has determined that they fail to address its alleged injuries, and an APA action has been unsuccessful. Then, and only then—after the application of the relevant federal statutes and the subsequent determination whether Florida is injured—will it be possible to determine whether there remains any common law claim at all for whatever particular injury is left. 26 …metropolitan Atlanta’s net consumption stands at roughly 0.8% of the entire annual average daily flow of Florida’s Apalachicola River. 27 Florida notes that Georgia has requested that the Corps make available storage in Lake Lanier sufficient to support 705 mgd of gross withdrawals for the metropolitan Atlanta region by the year 2040. *** But … Georgia expects to return 78% of these withdrawals (or 550 mgd) back to the river if the Corps grants Georgia’s request. This total net withdrawal of 155 mgd will constitute a mere 1.1% of average daily flow at the Florida-Georgia border. To be sure, severe droughts will reduce the flow of water available to Florida. But those natural droughts reduce Georgia’s access to water as well, and nothing in Florida’s complaint suggests that Georgia consumes more than its fair share of water during these droughts—particularly given that Florida comprises only 11% of the drainage area of the ACF Basin, while Georgia comprises approximately 74%. Moreover, the Corps presently augments flows to ensure that Florida receives a minimum flow of 5,000 cfs at the state line to minimize any adverse effects to federally listed species in the Apalachicola. *** When net basin inflows fall below 5,000 cfs, the Corps supplements them by releasing water stored in the Corps’ upstream reservoirs at Buford, West Point, and Walter F. George Dams. The Corps releases higher flows to benefit threatened and endangered species at other times, and the flow out of Woodruff Dam historically is well in excess of the 5,000 cfs minimum (flows below 5,050 cfs occurred on 0.9% of observed days from 1975-2008). 30 Governor Scott’s letter … drafted outside the context of litigation … candidly attributed reduced oyster harvests to two factors: (1) the “Apalachicola, Flint, and Chattahoochee Rivers, have experienced drought conditions for several years;” and (2) “overharvesting of illegal and sub-legal oysters” in response to the suspension of oyster harvesting in contiguous states (as a result of the Deepwater Horizon oil spill) have led to fewer oyster landings. *** Florida’s attempts to attribute the 2012-2013 low oyster harvest to Georgia’s upstream water usage do not even cross “‘the line between possibility and plausibility’” necessary for an ordinary complaint filed in district court, much less the far more demanding standard that this Court has established for commencement of an original case. Last summer I characterized Florida’s Supreme Court filing as a “last-ditch effort” to get what it had failed to get through the last 20 years of federal court litigation. To me, the filing itself was legally unimpressive and factually unconvincing. Those remain my impressions and I think it is likely the Supreme Court Justices will have similar impressions after reading Georgia’s response. I would be surprised if the Justices grant Florida’s request and allow this lawsuit to go forward at this time. We thought the Lake Lanier Association members would be interested in seeing this press release issued by the ACF Stakeholders group last week in relation to the latest legal threat by Florida Governor Scott. HELEN, Ga. – October 3, 2013 – The Governing Board of ACF Stakeholders, Inc. (ACFS), an organization of local governments, power producers, farmers and oystermen, manufacturers and conservationists throughout the Apalachicola-Chattahoochee-Flint (ACF) river basin, called on Florida Gov. Rick Scott to “delay any further legal action or the pursuit of any current lawsuit.” Earlier this week, Scott filed a lawsuit against the state of Georgia, asking the U.S. Supreme Court to force Georgia to reduce its water consumption in the ACF river basin, which runs from the mountains of north Georgia to the Apalachicola Bay in Florida. Rather than another courtroom battle, ACFS believes its recommendations for a sustainable water management plan can form the foundation of a tri-state consensus. This work is expected to be completed before June 2014. Since 2010, ACFS has been working on a sustainable water management plan based on science, good data and consensus. Over the last four years, the group has raised over $1.3 million to accumulate and model the data necessary to develop a consensus-driven plan. The Governing Board crafted and passed this resolution during its regular quarterly meeting at Unicoi State Park in Georgia. Past meetings have been held in Alabama and Florida. The Governing Board is comprised of 56 individuals representing all aspects of the river basin’s economic, agricultural, aquacultural, recreational and environmental concerns. Membership on the board is divided equally among the four ACF sub-basins and includes membership from Alabama, Florida and Georgia. ACF Stakeholders, Inc. is a group of water users in the Apalachicola-Chattahoochee-Flint (ACF) river basin of Alabama, Florida and Georgia who are working together for sustainable water management. Next time you wonder why you should financially support the LLA, read the Florida Water Control Manual Update comments letter and realize that they are urging the Corps to bring Lanier down to 1035′ during times of drought. You thought 1050′ was difficult, image 1035′! A significant part of our advocacy role is monitoring what other stakeholder groups are advocating for, determining what sort of impact that would have on Lanier, and then affecting change where we can. We are actively working on three different areas that impact lake levels: more water, less consumption, better operating rules. It takes time, effort, and money to do that. If you are already a member, thank you for supporting our mission. If you are not currently a member, please consider joining. Please share this information with your friends and neighbors so that they too can support advocating for Lanier and we can increase our membership size, voice, and influence. In case you would like to read some of the Water Control Manual Update comments, they are posted on our website in the Library section. – The 5,000 cfs minimum flow required at the state line is not representative of the true lowest historical flows in the ACF and is not sustainable. – Lanier was never designed to support ALL downstream demands and can’t be expected to because the dams originally proposed on the Flint River were never built. – The Corps’ current operating rules require more water to be released from Lanier than is necessary and do not allow as much to be stored as is possible. These draw the lake down more than necessary and make it less likely to refill to full pool under contemporary climatic conditions. – The Endangered Species Act does not require the Corps to augment Apalachicola River flows above run-of-river levels and the practice should not be required because it depletes Lanier unnecessarily. – Regular navigation is no longer feasible on the ACF and the Corps should not try to support it in view of the other demands on Lanier as a resource of last resort. Lake levels are rising rapidly today due to recent rains. The lake has already risen almost eleven (11) inches in the last week and is at 1057.24 as this is being written. Inflows are running at more than 500% of the average for this day (~4450 cfs in the Chattahoochee and ~1900 cfs in the Chestatee). Rising lake levels can cause problems for dock owners in several ways. First, ramps can end up in the water, making it difficult to move docks back toward their full pool positions. More seriously, anchor poles can either be lifted off the bottom if there’s not enough slack in the lifting cables or they can slide out of the bottoms of their collars if the dock rises beyond the poles’ reach. Combined with the high winds we are experiencing today (over 20 mph), anchor pole problems can result in docks being dislodged and blown away from their normal mooring sites, causing damage to themselves, adjacent docks, or nearby boats. It’s also a good idea in the event of heavy winds to make sure your shore cables are sound and secure. Please be sure to check your dock and make adjustments as necessary.